Three Creative Hacks for Instagram Stories That Pop! Some information I’ve gathered from various educational sessions in Facebook’s Blueprint course have been Instagram hacks that can elevate any brand by creating a more engaging Story experience. Some people have tried this and failed terribly… I still do, however there is light at the end of the tunnel. Motion pinning essentially gives you the ability to attach an emoji style object or logo to something in a video and when that video plays the object follows the person, hand, finger or cat etc. The issue many experience is because the camera needs to detect the difference between the object that you are pinning something to and the background. So ideally you want the background to be an exact opposite colour to the pinning target. So how do you motion pin? A great way to use motion pinning is with travel, you can use text location stickers and pin them to objects on your video. 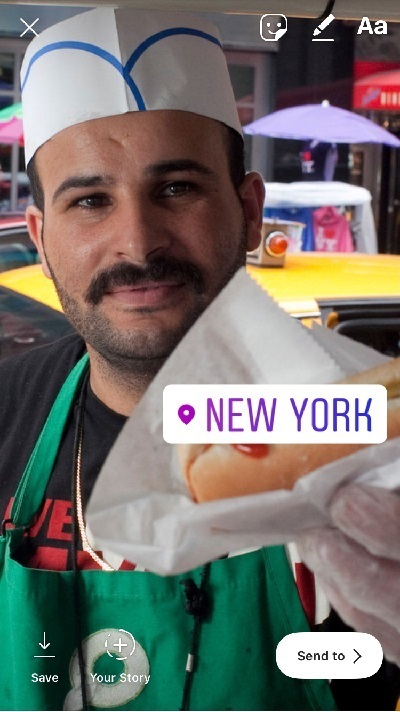 Advertising a holiday in New York, why not have New York pinned to a hotdog being handed to you by a street vendor? The opportunities are endless. Probably one of the hardest hacks to pull off, but one with possibly the most potential. 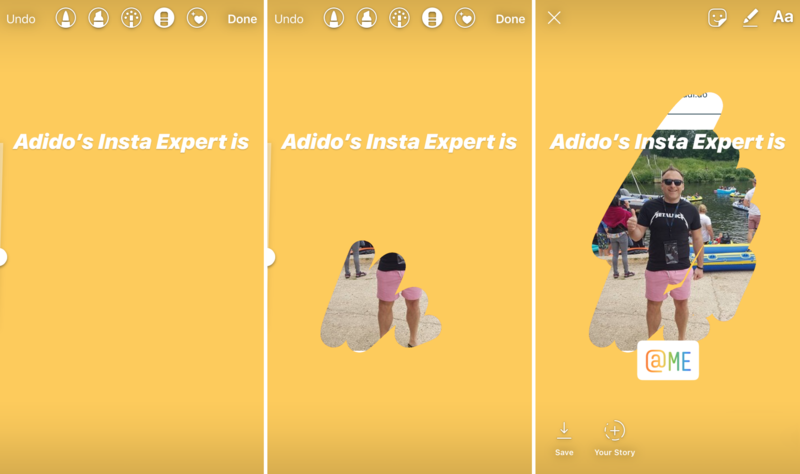 With Instagram Stories you can create a 'Tap to Reveal' scratch card experience, keeping your audience guessing and getting them to interact with your content. To make your very own Instagram Stories ‘Scratch Card’ simply the image you want to use as your hidden picture. Select the pen tool and cover your image with your desired colour then save the first image. This then creates your story frame. Now select your eraser and erase a section of your image and save again, rinse and repeat for as many reveal frames as you want until your full image is shown. Naturally its takes a few practice attempts before you make the experience really engaging but a great example for the use of this would be revealing a competition winner or announcing a new product or offer etc. Once done you then just have to upload your preferred sequence to your Story and when your audience view and click through another part of your image is revealed. And there you have it; three hacks that will have your Instagram account capturing the attention of your target audience and have them begging for more. If you’d like to take your brand to the next level and get the attention of your target audience why not drop our Social team a line and let us Explore, Create and Captivate! Find out more about how to take your travel marketing to new heights.